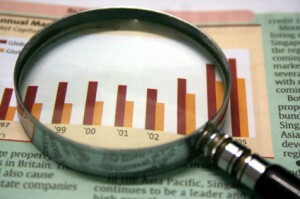 Many investors take the plunge with the ultimate goal of accumulating wealth through the years. While some do not have issues and problems observing their investments increase and decrease in worth and value from one day to another, those who have small appetite for risk or people who are nearing their retired status normally can’t hold up against short-term volatility in their investment portfolios. If you are looking for safe yet lucrative investment, understanding and finding out how do annuities work will give you an idea how you can generate money efficiently. An annuity is an agreement or contract between an investor known as the annuitant and another party which is an insurance firm that pledges to compensate a specific amount of money, periodically, for a particular period of time. The annuity grants a form of retirement income wherein you house funds to the annuity and then you receive guaranteed income stream down the road. 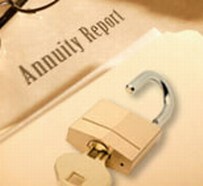 Usually, annuities are procured by investors who look forward to minimum income stream to supplement retirement income. Several annuities provide tax sheltering, thus your contributions lessen your taxable earnings during that year, while your investment earnings grow free from tax until you start to generate income from them. People who know how to buy an annuity find this opportunity very attractive since they can elect to contribute to fixed or variable annuity and even choose between immediate and deferred annuity, with the latter receiving tax-free compounding. Since they are long-term investments and planning instruments, most of the annuities come with rules that may penalize the annuitants if they distribute or access the funds prior to reaching the established term. There are particular provisions that you should closely look at when you sell your annuity and when you try to withdraw about 10% to 15% of your account balance for emergency expenses. In general, there are two chief ways annuities are established and utilized by investors: the immediate and deferred annuities. Immediate Annuity – With this investment, you can place lump sum money to your account and instantly start getting regular payments, which might be fixed, specified amount or variable based on your election of annuity package and typically last throughout your lifetime. Deferred Annuity – These investments are created to meet the various financial needs of different types of investors by helping them build considerable amount of income stream in preparation for retirement. The regular contributions are tax sheltered until you elect to access the money from the account. The period of making contributions and its tax sheltered growth is known as the accumulation phase. Investors consider guaranteed retirement income in different ways. For many, it is vital to ensure a risk-free income for retirement, while for others enjoying the capital gains in their funds is more important. Your priorities and needs as an investor will determine whether you must go for fixed annuities or find out how do variable annuities work. Fixed annuities provide very low-risk investment wherein you get a fixed amount of money monthly throughout your lifetime. But, for the most part, the price for eliminating the risk is letting go on growth opportunities. Variable annuities on the other hand permit you to take part in possible further appreciation of your investments while you still generate earnings from your annuity or even your cash flow notes. With this kind of investment, the insurance firm normally warrants a minimum income stream, which is referred to as guaranteed income benefit option, and gives an additional payment amount that goes up and down with the annuity’s market performance. Therefore, you take advantage of larger payments when your investment portfolio makes higher returns and only small payments when it does not. All in all these annuities furnish balance between guaranteed income for retirement and continued growth of your account. There are many resources online about how do annuities work. You just need to realize how these investments that give out tax-sheltered growth will benefit your retirement plans and if they actually suit your investment portfolio. If you need immediate access to your annuity funds, find time to also learn about annuity loans.